Whether you grow and harvest corn from your garden or purchase it in bulk from a vendor, corn freezes nicely to be enjoyed later in the year. With numerous uses as an accompaniment or addition to meals, corn is an extremely versatile vegetable. While boiling is a common method of reheating frozen corn, baking it offers a crisp and fresh-tasting alternative. 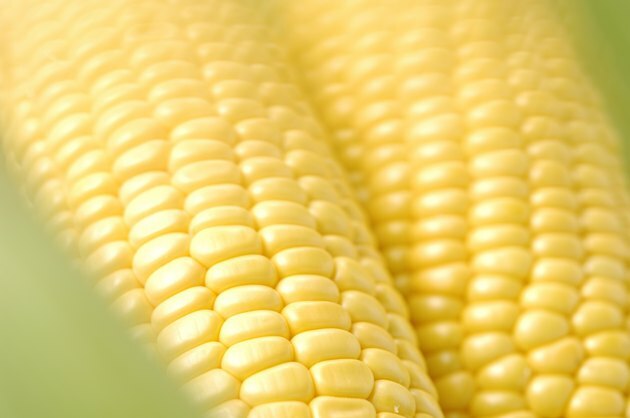 Remove the corn from the freezer and place it in the refrigerator for 30 minutes to an hour to partially thaw. Remove the corn from its packaging and brush it with melted butter, salt and pepper to taste. Place the corn in a baking dish and set it into the oven. Bake the corn for 15 to 20 minutes. Corn should be only slightly thawed before placing it into the oven. Squeeze it gently with your hands to test how thawed the corn is. There should be only slight give. This dish will be hot! Allow the corn to cool for a few minutes before eating.